Formula One tradition has it that everything should kick off at next weekend's Italian Grand Prix. Monza, a dramatic enough theatre even when the ancient autodrome is empty, will reverberate with more passion than usual following Ferrari's first win of the season in Belgium last Sunday. Monza could not have asked for a more effective call to the faithful followers of what amounts to the only national team in F1 even though Ferrari has no hope of winning the title. Monza often goes a long way towards either settling the championship or prompting the defining of status within teams fortunate enough to have had two drivers previously in a position to fight for the crown. All of that would be plausible in a normal season of racing. But, as the last race showed with dramatic clarity, 2009 is anything but normal. The destiny of the title remains just as obscure as the identity of the favourite to succeed next Sunday. 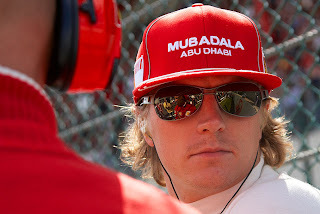 Kimi Raikkonen was the sixth different winner in six races, a statistic that would have been the subject of derision had it been predicted on 7 June after Jenson Button had won six of the first seven races. Rather than discussing diversity of success, the talk that evening in Turkey was whether the four races following Monza would be worth attending because Button would surely have become the second Englishman in successive years to be crowned world champion.